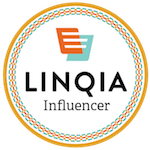 DIY lunch box treat Archives | Happy Deal - Happy Day! While some may want to hold onto summer as long as possible, others are counting down the days until the kiddos go back to school. 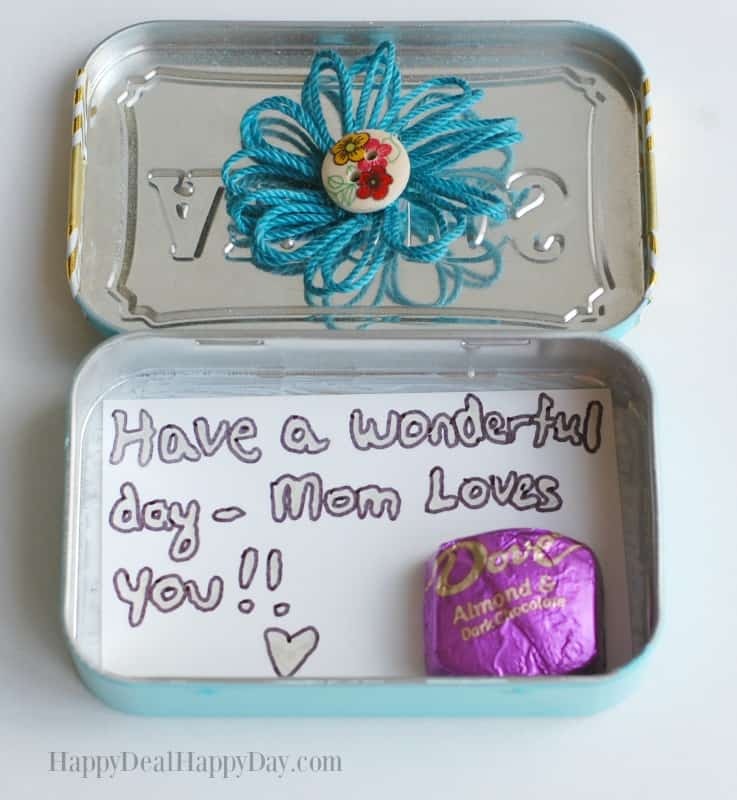 Either way, you’ll love this fun idea for making a lunch box note and treat holder. 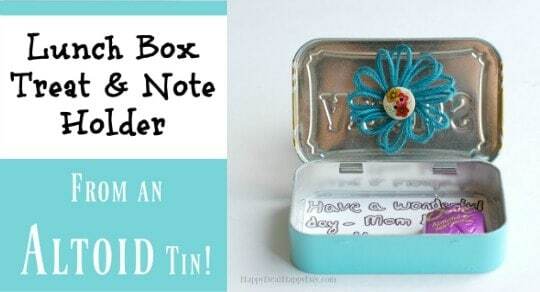 This simple DIY Lunch Note Holder is a great way to up-cycle an Altoids tin, plus it can be used as a treat holder or lunch money container in addition to a sweet note from Mom or Dad! 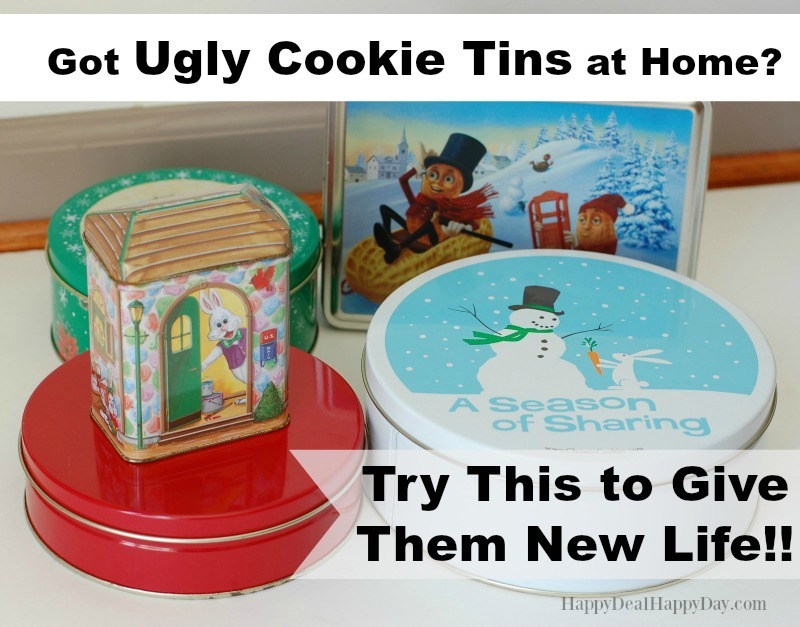 It’s easy to make and your kids will love their surprise when school begins! I started out by emptying and cleaning out the Altoid tin. Make sure it is completely dry – and then spray paint it the color of your choice. I love this Turquoise spray paint – but it may not be a color for everyone. You could even just get black chalkboard spray paint and some chalk markers to decorate and personalize this. 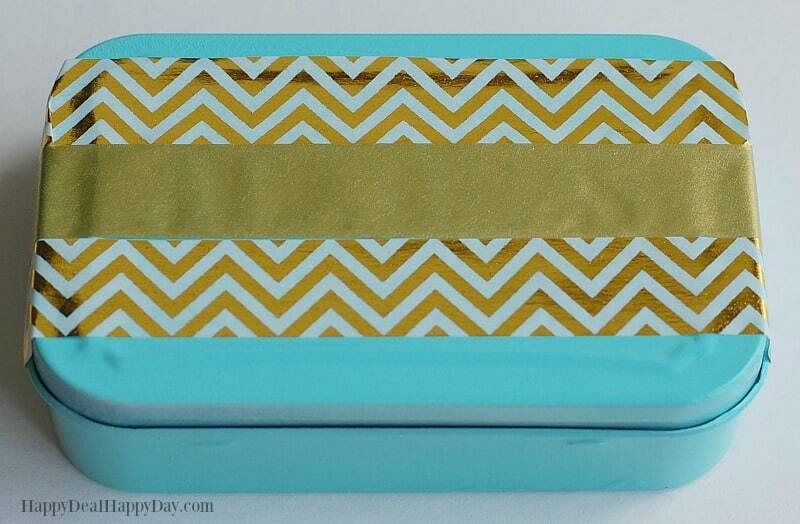 I loved the solid and chevron patterns from this set of Gold patterened Washi Tape. 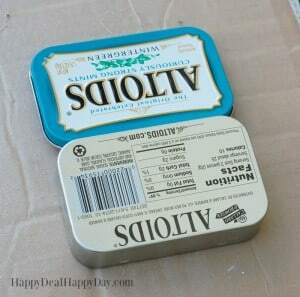 I wrapped 3 pieces around the top of the Altoid logo and used my X-acto knife to make a clean cut on the back side. 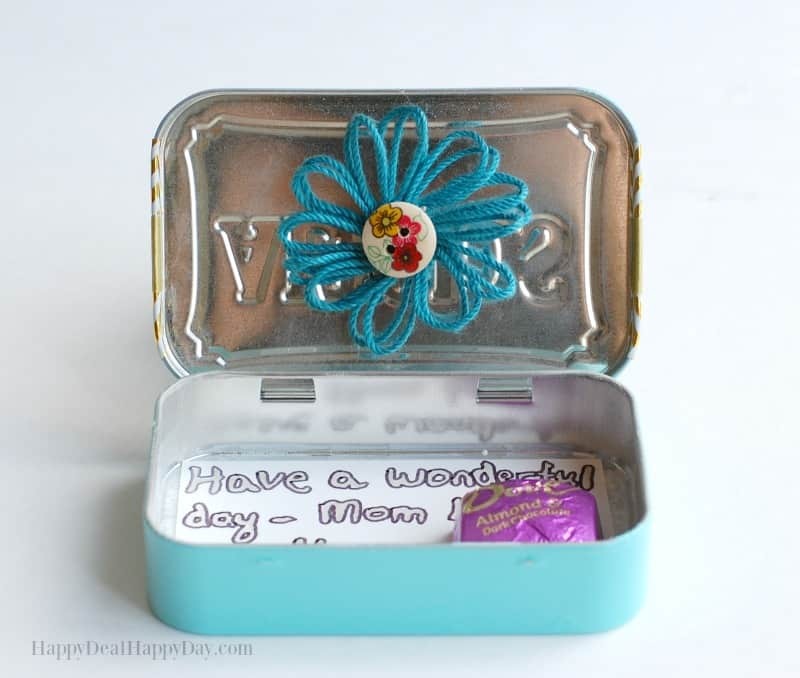 I have some old business cards that now I’m turning into lunch box love notes :). 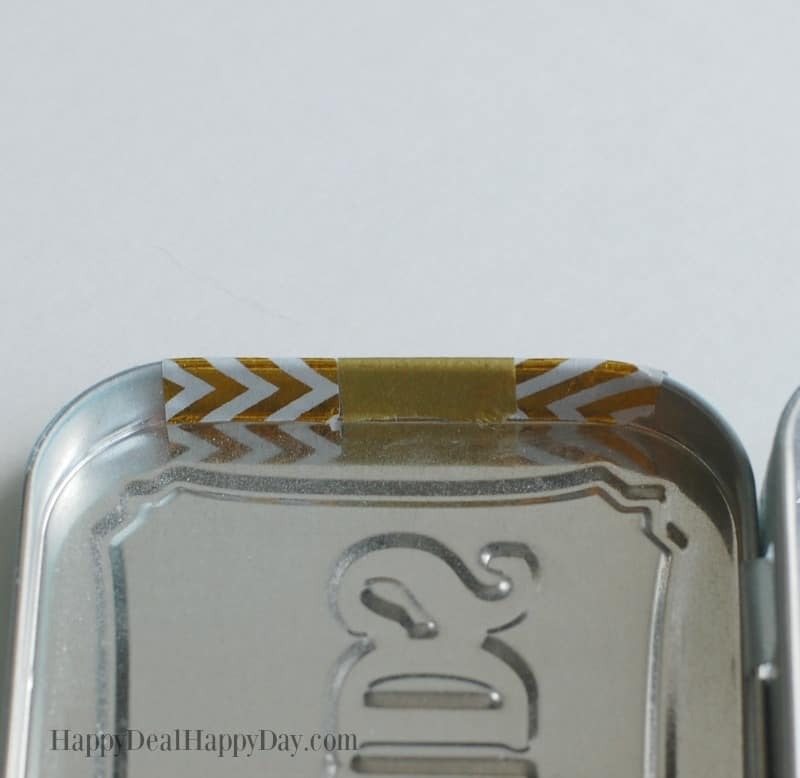 I just had to trim the edge of the business card just a bit and it fits perfectly into the tin. 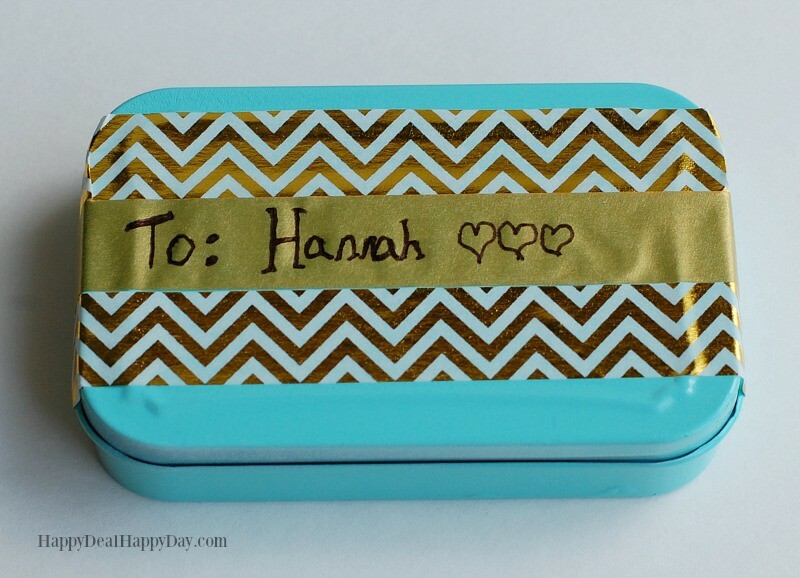 Write a cute message on the back, and now those old business cards will get one more use before the recycle bin! 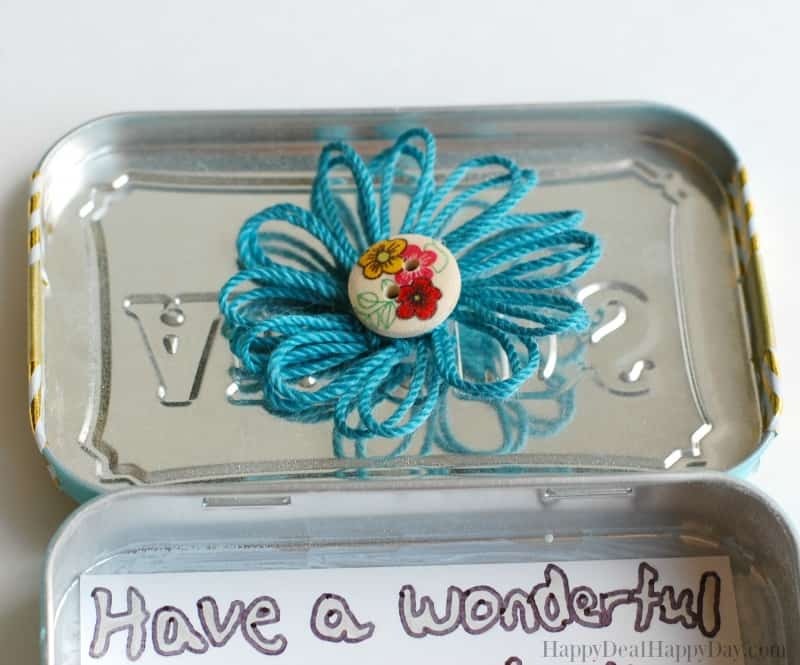 I made this turquoise flower with my flower loom and stuck a cute button on the front and a magnet on the back. 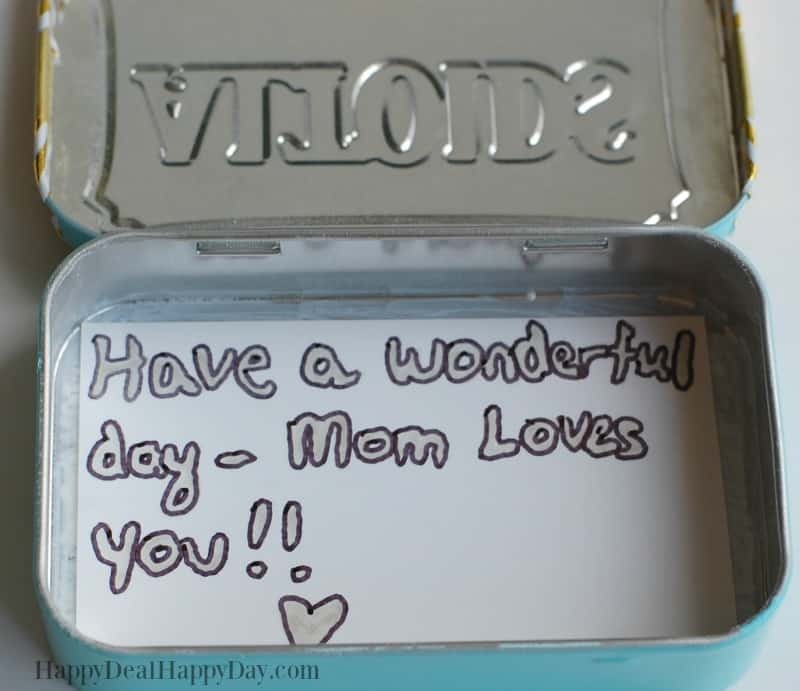 My daughter will love this cute touch to her lunch box note – and I’m sure it will just be fun to play with the magnet during lunch time. You can see how I made the flower with the flower loom over here. I also have some of these flower magnets for sale in my Etsy shop here. 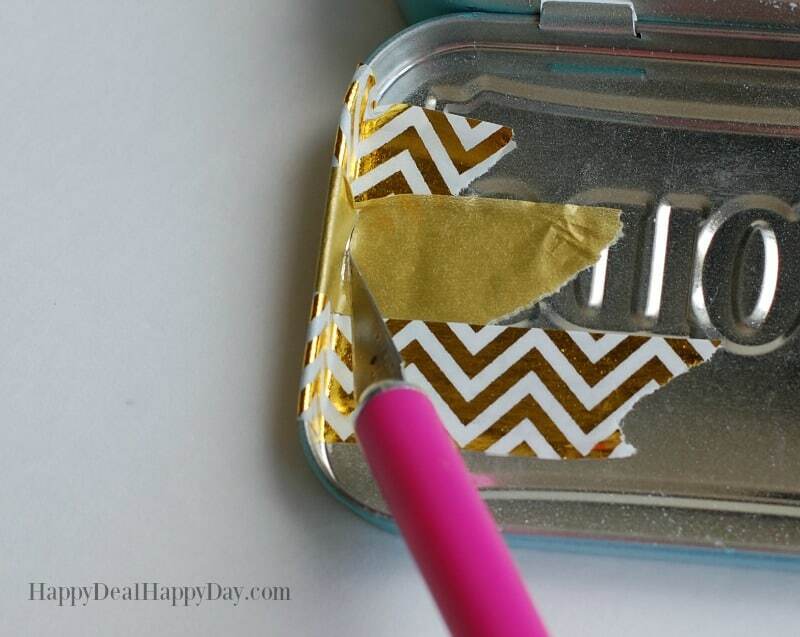 I personalized the front as you could do too – make one for all of your kiddos! What’s your favorite way to add a treat to your kids lunches each day? 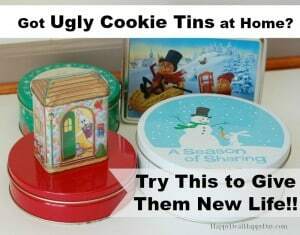 Find more great frugal craft ideas over here – especially how I updated these old cookie tins with the same materials from here!